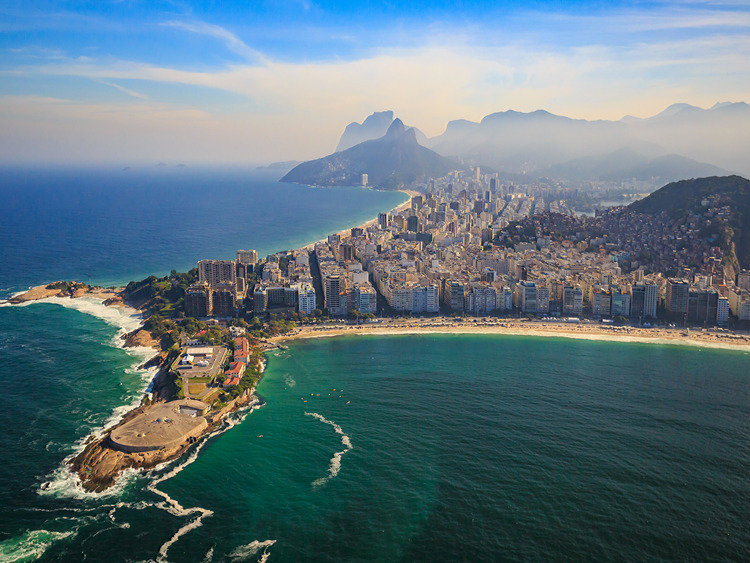 Rio de Janeiro is a vast metropolis with a thousand faces, where the breath of modernity meets enchanting ambiences and centuries old traditions. We explore futuristic monuments and then dive into the bohemian quarter of Santa Teresa, home to artists and intellectuals, where a typical Brazilian lunch completes our journey into local culture. We will start our tour by crossing the 14 km Rio-Niterói bridge which connects the two sides of Guanabara Bay and that has been for many years the longest in the world. We will see the stunning Museum of Contemporary Art in Niteroi, one of the masterpieces of Brazilian architect Oscar Niemeyer, perched on a promontory overlooking the sea. From here, the view over the city of Rio de Janeiro is simply breathtaking. We then return to Rio de Janeiro and head to the Lapa district, the heart of the city's nightlife, to visit the Selarón staircase, with its 215 steps that the Chilean artist Jorge Selarón tiled with multi-coloured mosaics from all around the world. Our next stop is the district of Santa Teresa, an oasis of calm after the chaos of the metropolis, with its bohemian atmosphere, cobbled streets lined with attractive architectural works and the historic tram, the famous bondinho, rattling between the houses, up the slopes of the hill on which the district is situated. Then we stop off at a traditional bar in Santa Teresa, a meeting place for local artists seduced by the charm of a district that is unsurprisingly home to numerous art galleries. Here we can enjoy a typical Brazilian lunch a blend of flavours with influences from the colonial era and other countries, brought to Brazil by immigrants, whose traces we can still see today in the local tradition. In the afternoon we visit the Parque das Ruínas, where we find the remains of an old brick house, once the residence of a wealthy Brazilian heiress and patron of the arts, where artists and intellectuals used to gather during the Belle Époque. From its height we can enjoy a magnificent scenic view of the river. We will then return to the ship, having imbibed a little taste of the country's soul for ourselves. The excursion is not recommended for guests with walking difficulties or in wheelchairs. Space is limited, so be sure to book early.